Humanitarian engagement with the Taliban in Afghanistan will become crucial. Aid agency engagement with the Taliban will be critical to ensuring they can still operate after 2014. Research published by ODI explores Taliban attitudes toward aid work and the approaches used by aid agencies to gain access to Taliban-held areas. As international troops withdraw from Afghanistan and prepare to hand over security in 2014, aid organisations’ engagement with the Taliban will be critical to the future of humanitarian and development work in Afghanistan. Research published by the Overseas Development Institute, involving almost 40 interviews with the Taliban and more than a hundred interviews with aid agencies and ordinary Afghans, explores Taliban attitudes and policies toward aid agencies and humanitarian work. The study provides an overview of the Taliban’s structure and policies on aid access, and how these policies are interpreted and implemented at the local level. Field research focused on two provincial case studies, Faryab and Kandahar, to examine these issues in depth. The Taliban are formally organised around two main centres in Pakistan: Quetta, which is the seat of the Political Commission, and Peshawar, the seat of the Military and Finance Commissions. Subordinate to these, the Taliban have established commissions dealing with policy and strategy in various areas including aid agency engagement (through the Commission for the Arrangement and Control of Companies and Organisations). They have also established a code of conduct for their fighters, the Layha. Within Afghanistan, Provincial Military Commissioners, with subordinate district-level Military Commissioners, supervise Taliban operations and report to regional Military Commissions. Complementing these military functions, Shadow Governors act as the ‘civilian’ authority at provincial level, reinforcing the visibility of the Taliban as a viable alternative to the Afghan government. However, Shadow Governors have rarely been present on the ground since 2010 because of the high level of threat from international forces and their influence is variable, with research indicating that military figures exert greater authority. In theory, military commanders and political figures at regional, provincial and district level should adhere to what the leadership dictates. However, the Taliban have a weak centre and are ‘federal’ in character. There appears to be a tendency to use bodies such as the commissions and Shadow Governors as institutional lookalikes for political propaganda purposes. The degree to which they actually function and influence decision-making is variable, although interviews with provincial and district commanders showed some evidence of these structures playing a role at local level. In practice, personality, leadership and charisma have great importance across the various Taliban networks. Given the diversity among and across the various networks comprising the Taliban, leadership orders and decrees are framed in such a way as to satisfy the various components of the movement and prevent friction between the loosely assembled parts of the organisation. This vagueness and the imprecise phrasing of policy allow room for manoeuvre. Personal negotiations and relationships at all levels play an important role, as evidenced in the variety of attitudes towards aid access. Taliban leaders have an articulated policy on aid agency access. According to the Taliban Commissioner for the Arrangement and Control of Companies and Organisations, Qari Abas, agencies are required to register with the Taliban at senior leadership level. Registration requires agencies to meet several conditions, including neutrality, respect for Taliban concepts of ‘Afghan culture’ and, in certain circumstances, payment of tax. At the leadership level, the Taliban appear not to discriminate between organisations, whether UN or NGOs, Afghan or international. Indeed, a list of 26 registered organisations provided by Abas included UN agencies, national and international NGOs and human rights organisations. Agencies that the Taliban claim are registered rely on funding from a wide range of sources, including both the UN and the US government. According to Abas, ‘it doesn’t matter to us whether it is American money or the money of the UN’, implying that agencies operating with this funding would be tolerated as long as they followed the Taliban’s rules. However, many local commanders exhibited negative attitudes towards and suspicion of funding from International Security Assistance Force (ISAF) troop-contributing countries. There does not appear to be marked discrimination among project types or activities within official policy. However, some projects, such as road construction, were objectionable when they appeared to go against military interests. Taliban at all levels were also critical of aspects of humanitarian and development work for its perceived inefficiency and partiality. There was also, perhaps predictably, strong resistance to Western notions of women’s rights. These trends were more pronounced among Taliban at the local level. In order to register, aid agencies interviewed reported liaising with interlocutors in Afghanistan or Pakistan to gain access to the Taliban leadership. Negotiations take place in Pakistan and Dubai, as well as in Afghanistan. Once registered, agencies are advised to communicate with provincial or local commanders in their areas of operation. Local Taliban are then expected to monitor the implementation of aid agency activities and agencies’ adherence to the rules. This policy was fairly well understood by provincial Taliban leaders in both Faryab and Kandahar. Registration at the senior level appeared to be critical; while some commanders were willing to strike local deals with unregistered agencies, these appeared precarious and vulnerable to disruption by rival or hardline commanders. The Taliban at the local level also appeared to be capable of monitoring adherence to conditions for access and enforcing them. In many instances, Taliban reported monitoring projects through informants within aid agencies. Projects appeared to be monitored for efficiency, and to ensure that aid agencies were not engaging in ‘espionage’. As such, hiring local staff was seen as important: a commander in Panjwai pointed out that ‘when from 60 to 100 local people are involved in a project, how would they be able to work for hidden targets?’. When rules are broken, the consequences for aid agencies can be severe, ranging from warnings or the temporary closure of projects to attacks on staff. The leadership was eager to stress that attacks on aid agencies were not indiscriminate, but local commanders nonetheless appeared authorised to expel, attack or harass aid agencies. While the political leadership may be attempting to give the appearance of a viable structure and an open attitude towards aid actors, their ability to ensure that military commanders and fighters on the ground share these views is limited. The vagueness and imprecision of ‘official’ policy accords significant discretion to local commanders. The rules are fluid and vary depending on who is in charge, but several factors appear critical in shaping access constraints, including personal experience of aid agencies and military pressure. In general, Taliban found it difficult to distinguish between different actors, particularly at the local level (NGOs, UN agencies, the UN Assistance Mission in Afghanistan (UNAMA), for-profit contractors, Provincial Reconstruction Teams (PRTs) and so on). In some instances, there were more favourable attitudes towards NGOs in general or specifically towards Afghan NGOs than towards the UN. Where commanders could distinguish between the various components of the UN, UNAMA was seen less favourably than other agencies. UNAMA’s support to the Afghan government is explicitly described by some Taliban as compromising the position of all UN agencies. In general, there was a high degree of hostility towards aid actors. Accusations of spying for foreign governments or being at their service were repeatedly expressed. Some more radical Taliban felt that, because NGOs cooperate with parties to the conflict, they were legitimate targets. Counterinsurgency tactics seem to have influenced the perceptions of some Taliban, particularly in Kandahar. Many reported that they had been amenable to granting aid agencies access, but had changed their view when they saw agencies increasingly working only in government-controlled areas and coming into previously insecure areas after they had been ‘cleared’. In many cases, this confirmed their suspicions of agencies being aligned with the government and ISAF. The Taliban, and indeed many community members, felt that aid was being distributed in an imbalanced way, and that programmes were ineffective and short term. In the words of one Faryab commander from Almar district, aid agencies’ work was ‘totally disposable, not permanent’ and ‘they just help you enough to survive’. There was also anger at the perceived ineffectiveness of aid, with one commander from Maruf district commenting that ‘huge amounts are spent in Kandahar but we have not seen any project during the last decade that has brought any positive change to our lives’. Poor-quality projects reinforced suspicions that aid agencies had ulterior motives. There was also a fear that aid agencies failed to respect Afghan culture and Islamic values, at least as defined by the Taliban. Western views of women’s rights were the most contentious point, and were widely seen as a prime example of the apparent morally corrosive implications of Western-defined ‘development’. A senior military commander in Faryab commented that ‘the UN and NGOs are talking about rights of women that they have made up themselves. They say women have the right to work with men, go everywhere, do what they want – but these are not the rights of women’. Similar views were expressed in Kandahar, and both Taliban and aid agency staff reported incidents where the Taliban exerted pressure on aid agencies, including banning female staff from working in health clinics and schools. However, there appeared to be room for negotiation under some circumstances. Some aid workers reported that they were able to overcome initial Taliban opposition to agencies working with women, and many felt that the Taliban would allow at least limited female employment or work with women as long as ‘Afghan culture’ was seen as being respected (for example, on the condition that female employees only work with Afghan women). A minority of Taliban interviewed during this research held positive views of aid agencies. Positive associations were often directly related to personal experience: one fighter’s father, for instance, had worked for a UN agency; a Taliban commander praised UN agencies and NGOs for providing school supplies and clearing irrigation ditches. Despite the widespread suspicion of aid agencies, these comments underscore the importance of high-quality, needs-based programming and transparency. They also suggest that experiences with one aid agency, whether positive or negative, are likely to influence Taliban views of aid agencies in general. While the political leadership of the Taliban favours granting conditional humanitarian access, the military leadership often responds to increased military pressure by restricting humanitarian access. The military leadership appears not to explicitly violate official policy on humanitarian access, but such concerns are clearly subordinate to military objectives. For example, a commander from Spin Boldak in Kandahar stated that aid access ‘changes in time of fighting between foreign troops because we don’t trust them and we don’t let any NGOs have access to our areas’. There were also more direct, and dangerous, consequences for aid agencies. In several instances, ISAF military operations appeared to have led to or were used to justify attacks on aid agencies. After ISAF raids and airstrikes in Faryab, for example, a Taliban commander claimed to have attacked NGO staff whom he believed had tipped off international forces. What proof he had to substantiate this assertion was unclear. Aid agency staff may be the only ‘outsiders’ travelling to a certain village, and underlying suspicions of aid agencies may make them the most likely suspects when something goes wrong. While military pressure led to constraints on access, the inverse – that less military pressure led to greater access – was not always true. In some cases where the Taliban were strong and unchallenged, the military leadership attempted to place severe restrictions on access. However, where the Taliban were weaker some commanders tended to grant a measure of access in order to maintain community support. ISAF’s kill/capture campaign, targeting senior and mid-level commanders, has led to increased volatility in the Taliban command and resultant access challenges. Heavy losses sustained by the Taliban have led to a growing reliance on ‘foreign’ fighters or the appointment of replacement commanders with few ties to local communities. This research found substantial differences in attitudes towards aid agencies among local Taliban, who have largely pragmatic reasons for being part of the insurgency, and Taliban from other parts of Afghanistan or from Pakistan and Uzbekistan, who are more likely to be ideologically motivated. Local Taliban saw hardline jihadists as disruptive to aid access, in contrast to more moderate local Taliban, who were typically well-connected with communities and more likely to listen to appeals from elders. Fighters coming from outside also generally had little regard for the Taliban’s political leadership. This was particularly pronounced in Kandahar. 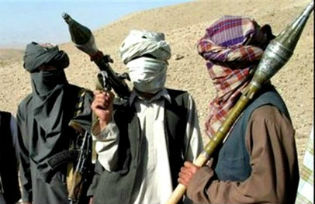 Aid agency sources reported harassment and hostile behaviour by Pakistani Taliban from Baluchistan in the first half of 2012 – a timeframe corresponding to a Taliban surge into southern Afghanistan aimed at instilling vigour into the insurgency. One elder in Shah Wali Kot district in Kandahar stated that the Taliban used to be more cooperative, but that ‘Taliban from Pakistan are oblivious to our suffering and now we can’t even think of development or relief work in our areas’. Aid agencies consistently reported relying on elders or other community members to arrange access with the Taliban. In certain circumstances, pressure from communities and elders appeared to induce Taliban commanders to allow access. This only appeared to work where elders where either trusted by the Taliban, or local commanders were not predisposed to limit access. Even Taliban who acknowledged that such negotiations had taken place were suspicious of elders advocating for aid agency presence, fearing that they might be ‘corruptible’ by NGOs. Interviews with elders and the Taliban highlighted the risks that elders faced in mediating on behalf of aid agencies. Those who vouched for aid agencies faced dangerous consequences if the agencies then violated the Taliban’s rules. A commander in Almar district of Faryab stated that, if an ‘NGO is spying or doing something against our law, then we will punish the elders’. This calls into question the viability, both operationally and ethically, of such approaches. In particular, there are serious questions about the transfer of risk to community members, who are being asked to put their lives at risk in order to obtain assistance. The withdrawal of international troops in 2014 will bring even greater uncertainty. For many it will be an inconvenient and unpalatable truth – but talking to the Taliban will likely become increasingly critical to the future of humanitarian and development work in Afghanistan – and for those Afghans they seek to help. Findings from this research clearly demonstrate the need for aid agencies to enhance their understanding of this issue and pursue more rigorous and structured approaches to working in Taliban areas. While engagement with the Taliban presents formidable risks and challenges, pursuing a structured, informed approach to humanitarian dialogue is increasingly critical for agencies committed to continuing to work in Afghanistan. Ashley Jackson is a Research Fellow with the Overseas Development Institute. Before joining ODI she worked for several years in Afghanistan with the United Nations and Oxfam. Antonio Giustozzi is a Visiting Professor in the Department of War Studies at King’s College London. He is the author of several articles and papers as well as three books on Afghanistan.